After the dual success of The LEGO Movie and The LEGO Batman Movie, it seems like so long ago that audiences were baffled as to a movie centred around the Danish construction toys. We're now here, with the third instalment in the cinematic franchise, and it's severely lacking in comparison. 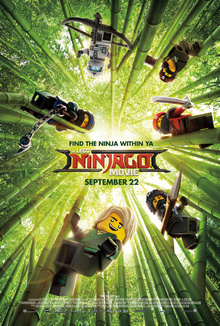 Lloyd (Dave Franco) is shunned by everyone around him, due to the fact he's the son of Lord Garmadon (Justin Theroux), the evil warlord who's constantly trying to conquer the city of Ninjago. The only ones standing in Garamdons way are Lloyd and his 5 friends, who are secretly Ninjas. The best moments are between Lloyd and Garmadon, as the relationship between father and son is explored in unique ways. When it comes to depicting a bonding session between father and son, the typical example is a game of catch. Such a moment is included, depicting the father & son bonding in a rather humorous manner. It's a shame the picture doesn't deliver more on these moments, particularly when Dave Franco is engaging as our lead, while Justin Theroux proves himself a scene stealer as the villainous father. 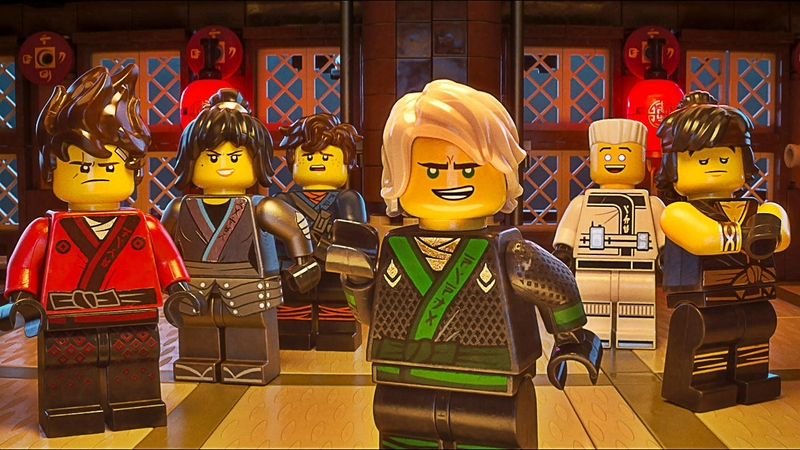 While Lloyd and Garmadon are given a good amount of development, the remainder of the cast are dismissed, and left to come off as two dimensional. The supporting cast is largely forgotten about, which is rather disappointing when considering how engaging the supporting characters were in the previous two LEGO movies. There's no distinct personalities put into these characters, and nothing noteworthy to leave their mouths. All the effort put into them are poor methods at telling them from each other (apart from colour coding). The jokes rarely manage to raise a chuckle, with there being a distinct lacking in any inventiveness or wit the prior instalments carried. It does at least deliver on the stylised action sequences, with the images resembling a Power Rangers movie made from bricks. These moments work much better than the live action scenes, which are awkwardly utilised. The scenes which bookend the film feel largely unnecessary, while the use of a live action cat feels like a single joke that's been stretched thin, and something that was done better in Team America: World Police. It's unfair to compare The LEGO Ninjago Movie to its predecessors, but when the bar has been set so high by them, the faults are ever more highlighted. Lacking the inventive nature, wonderful humour and engaging characters which made them such cinematic gems, this film is less than the sum of its brick parts.